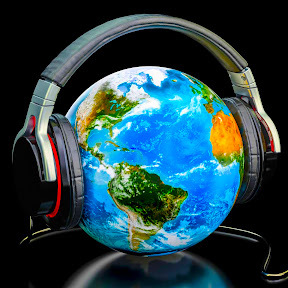 We allow musicians to share there recordings with others. Our goal is to create an accessible platform that makes it easy for guitarist to find the right jam & backingtrack and we hope you will help us by sharing your tracks. BackingTracks of Partners are given priority and will be added first! Add new jam tracks: Upload, promote & share your originally-created jam & backingtracks. Edit exiting jam tracks: add relevant information such as chordprogessions, tempo, scale- & modessuggestions, downloadable.. Adding backing tracks will increase your audience on YouTube. Backing Track Partners can add a download or buy-link on each track! With the 'Post Your Take' program we want to give the user the possibility to become a better guitar player. Put your website and social media in spotlight! All BackingTrack composers spent many hours recording Guitar Backing Tracks and we want to reward that! Add your PayPal, Patreon or Tipeee donation link in the spotlight! Your Jam Tracks and all Tracks of the GTM-family will appear automatically higher in our search results. So your tracks get the appreciation they deserve. Welcome in our hall of fame! Your BackingTracks & BackingTrack Channel on Guitartonemaster.com will be reviewed by our backtrackers. Make sure your songs are seen and encourage people to vote for your tracks because all jam & backingtracks are assessed trough ratings. Help us make Guitartonemaster.com a better place. Youtube ads appear before and on your YouTube videos. By displaying your Backing Tracks Video's on Guitartonemaster you'll improve your revenues. These ads are optional and not compulsory. Reach a bigger audience. Guitarists can bookmark your backing tracks and follow your channel. Users can follow there favorite artists/composers. With the follow-button and bookmark-button they will never miss a Backing Track.